Governor Fayose, in his reaction said; “Once again, the fact that President Mohammadu Buhari is an ethnic champion, a religious bigot and the number one promoter of disunity in Nigeria was brought to the fore by the President of the World Bank Group, Jim Yong Kim. 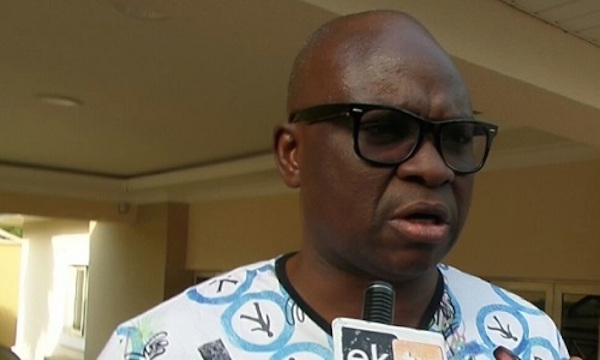 While reminding Nigerians of his earlier warnings that Buhari was a sectional leader, Governor Fayose said; “Those politicians, who painted the picture of a changed President Buhari to Nigerians before the 2015 presidential election, should remember that I warned that he (Buhari) can never change from an ethnic champion to a nationalist. “When Fulani herdsmen were killing Nigerians in the South and North-Central states of Benue and Plateau, President Buhari, who is the Patron of Miyetti Allah Cattle Breaders Association simply kept mute.Not even the killing of over 1,000 Agatus in Benue State got the attention of the President.